Current events have demonstrated a tremendous desire, on the behalf of perhaps the majority of people in the world, for peace in their lives. They are no longer satisfied with the mentality of political conflict, which endangers economic progress and human rights and freedoms. But most importantly, I feel that many people are now aware that if we want peace in the world, first we need to make peace with our own lives. It is human nature that needs to change, and we are capable of making such a transformation. Our experience in the world reflects our inner state - yes, this is a kind of magic but that is the reality, the world is miraculous. I have seen so much evidence of this when I - or a student or client - have made a genuine shift in our belief system that resolves an inner conflict, then very soon our real-world circumstances change accordingly. We mirror our internal state - our resistance/fear and acceptance/love - in our personal life experience. As a group we mirror our consciousness in world events. It is our personal responsibility to become aware of our contribution to the group consciousness, to help create a world with more opportunities for ourselves and our loved ones - which ultimately means for everyone. Before we can contribute, through our consciousness, toward peace in the world we need to make peace with ourselves. Before we can love others unconditionally we need to be able to genuinely love ourselves. Before we can forgive and cease making judgments of others we need to learn how to forgive ourselves and warmly accept ourselves just as we are. If we can forgive ourselves then we can more easily forgive others. If we do not feel able to forgive others then we clearly have not learned to love ourselves. And the irony is, when we do truly love ourselves, we and others will not even need any forgiveness, because we are able to accept the past, present and future as it is, without judgment. Our creation. Discrimination - of good/bad, right/wrong, ugly/beautiful - is not part of the vocabulary of love. Are we all born equal? The short answer: yes, but not the same, not by a long chalk. All persons have the same qualitative make-up; we are born equal in this respect, as recognized in the values of 'Equality, Fraternity & Brotherhood.' All human beings have the same reflexes, instincts, drives, needs, capacities, and rights; all have the same powers of perception, discrimination, attentiveness, retentiveness, reasoning, and so forth. The differences between persons are quantitative rather than qualitative. 'Equality' is to do with our qualities, that we all share, but not the degree to which they are developed. Behavioral psychology has installed the idea that we inherit all of our traits, and besides the modifying effects of cultural conditioning that we stay basically the same as our genetic hard-wiring dictates. That's true if you don't do anything about making positive change, if you don't recognize the aspects of yourself that are more than animal. Recently many have recognized this possibility and they are looking for valid information that can help them make positive changes. We each differ in the degree of our various spiritual, mental, emotional and physical abilities, and in the manner in which the amounts of the various traits combine in our individuality. A wide range of aptitude, personality, learning and intelligence tests will show differences as high as 25:1 from person to person, with a characteristic bell-shaped distribution curve, in much the same way as physical characteristics are varied. It is these quantities, which are such an important factor in personal competence, creativity and ultimately our success in life, that personal development aims to increase. It is through our differences that we are able to express our individuality and achieve unique goals. Fortunately it is possible to develop our skills, talents, maturity and intelligence to high degrees, using appropriate techniques. For example, we offer effective Mind Development courses to develop the faculties of vision, communication, concentration and will, learning and reading skills, logic, memory, intuition and creativity. I feel that it is a mistake to belittle the differences between individuals due to a fear of being seen as judgmental or non-accepting of a person who has little of certain qualities. It is much better to be realistic (which is truly to be non-judgmental and accepting) and recognize the strength and weakness of our various qualities. Then we can take advantage of the opportunities that are available to develop and improve ourselves, toward the goal of fulfilling our potential. Implicit in any concept of learning is the notion of change. If we open our minds to discovering and learning new information, we change some part of ourselves: our attitude, behavior, values, assumptions, or perhaps the amount of knowledge we have. The change may mean a rejection or an alteration of previously accepted beliefs or behavior, or it may mean an expansion or extension of them. Change is often perceived as frightening as it threatens to rob us of the safety and legitimacy of our personal, often cherished, position and boundaries - especially since maintaining this safe space has helped us to survive as well as we have up to now (even if that's not as well as we could do). When change is demanded by another person or new circumstances, we tend to feel threatened, defensive and perhaps rushed. The new learning is not perceived as something desirable and of our own choosing. Pressure to change, without an opportunity for exploration and choice, seldom results in experiences of joy and excitement in learning. To turn this around, we need to be proactive in our learning, to expand our knowledge and abilities in advance of forced changes of circumstance. 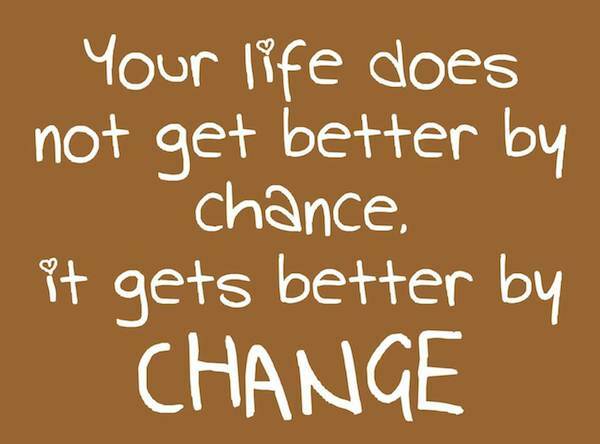 If there's one thing guaranteed in our lives it is that change will be upon us, sooner or later; usually sooner. If we are open to change, and are willing to learn whatever is necessary to predict and adapt to it, we can even become its master and control its direction. Self-directed learning is therefore key to mastery over life and to the creation of the life that we want. So what is unbounded thinking? We experience. We learn. We share. We progress. We create a revolution in consciousness. The above passage is drawn from my ebook Daring to be Yourself. 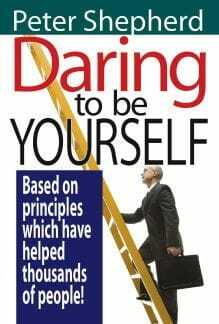 The book is based on principles which have helped thousands of people, endorsed by experts over many years. The ebook (available in Kindle format) intersperses theoretical understanding mixed with practical exercises throughout, to help you uncover the barriers to self-knowledge and freedom of expression and action. Part Four, A Positive Approach, is a set of personal development principles and exercises that I have found to be particularly effective over the years, both as a psychotherapist and in teaching many students around the world on our courses. This program will provide a powerful path for your forward growth. Human nature is universal, something we all share. But that doesn't mean human nature cannot further evolve; indeed it must, to meet the needs of Mankind's present situation, where a greater degree of peaceful cooperation, reform and justice is critical for our future survival and prosperity. Most of us just struggle on. We do everything bar change our minds. Only a few realize that the path of personal growth means changing ourselves. Those who have this realization - and act on it - gain what others can only dream about. All you have to lose is whatever stands in your way. Nothing will change unless you do. No one need accept that they must remain as they were shaped by their hereditary body-mind and by the conditioning of their childhood and culture. Each of us can evolve consciously by undertaking our own path of personal development, according to our individual needs, weaknesses and strengths. To make a really good start, the Daring to Be Yourself ebook covers a range of key personal development topics and most people will benefit from increasing their knowledge and abilities in these areas. The key is to take what you learn and put it into practice in your daily life. To change the engrained habits of a lifetime, and even to change the nature programmed into your genes, is possible but it will take your determined application, over and over again, to reprogram your mind and transform yourself. Remember, the guide on your path is your own true inner nature, your connection with the universal, and that is LOVE. Love is unconditional acceptance. At all times ask yourself, "Am I doing / thinking / saying this in love?" and you will not go far wrong. from Amazon.com for Kindle + iPhone, iPad, Blackberry, Mac and Windows with Kindle Reader. “I believe this to be the case because in reading Peter Shepherd's marvelously insightful and educationally researched work, I felt as if I were sharing an awareness building conversation with a cherished friend. The compassion within the writing style made me experience that rare moment-out-of-time emotion where information connects with personal observation and first hand dealings. “This is the ignition of 'creation,' and without judgment, Peter Shepherd offers psychological cornerstones mixed with the validation to choose the path that suits you - not the 'you' categorized by others but the you deep inside who has preferences and a magnetic yearning to travel a certain direction.